Venezuelan President Nicolas Maduro was re-elected to another six-year term in this weekend's elections. His main opponent Henri Falcón accused the government of influencing the vote with electoral fraud, considering the electoral commission is made up mostly of government supporters. The government banned two other opposition candidates. Yet, Venezuelan officials defended the polls as "free and fair." Like Falcón, U.S. Ambassador to the United Nations Nikki Haley sees right through it. 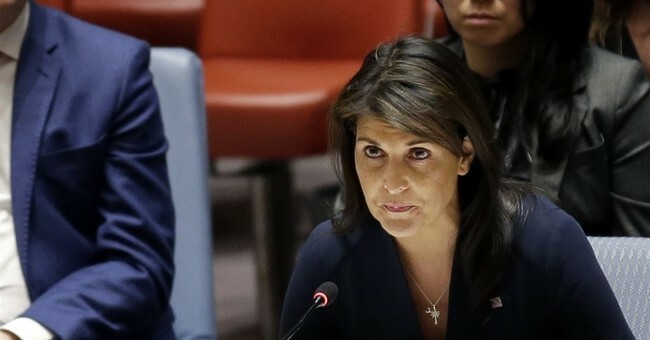 The U.S. Mission to the UN Twitter account tweeted that to define what transpired in Venezuela on Sunday as an "election" was "insulting," and Haley agreed via a retweet. Deputy Secretary of State John Sullivan emphasized this message, telling reporters Sunday that not only will the U.S. refuse to recognize the Venezuelan results, they are considering placing oil sanctions on the government. Under Maduro's socialist rule, the country has suffered from food and energy shortages. Citizens have become so desperate they have resorted to looting and eating zoo animals for sustenance. The Miami Herald reported that some citizens have even tried prostitution to make ends meet. Hospitals are lacking supplies and stores are lacking basic necessities like toilet paper. Would Venezuelans really vote for more of the same hellhole conditions? Anti-government activist Carlos González knew the result was unfortunately inevitable. “Jesus Christ could be the candidate and Maduro would still prevail because the system is set up for him to win,” he said.